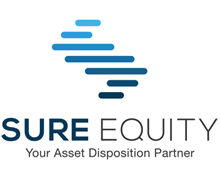 Sure Equity is a private equity firm focused on the acquisition and repositioning of commercial real estate debt and under-performing properties. We implement a disciplined value unlocking process and partner with leading financial institutions. 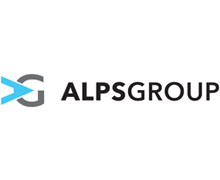 Since its beginning in 1995, ALPS Group is a NATIONWIDE company who specializes in the real estate industry, C&I, and equities recovery & oversight. ALPS Group provides services in State & Federal Receivership, Property Management, Construction & Property Preservation, and Real Estates Sales & Leasing. We are rated A+ with the Better Business Bureau and a recognized leader in the industry. 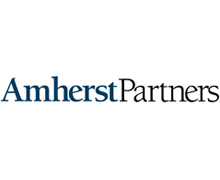 Amherst Partners is one of the Midwest’s most trusted and respected financial advisory firms, providing M&A advisory, management advisory, capital raising, and restructuring services. Our results-driven team of experts has a depth and breadth of knowledge across multiple financial specialties that is unmatched. We are completely independent and focused on working with middle-market companies (generally, revenue between $10 million and $500 million). Above all, we take pride in being dedicated, passionate, and principled advocates on behalf of our clients. Founded in 1994, our longevity is a testament to a culture that prioritizes the success of our clients. 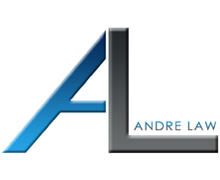 Andre Law is a commercial litigation firm committed to real results. 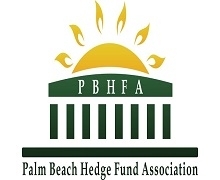 The firm is specifically dedicated to the practice areas of commercial collections and judgment enforcement, commercial litigation, and business disputes. A judgment is not just a piece of paper, maximizing the value of a judgment is the firm's primary focus. What separates Andre Law from most commercial litigation firms is Andre Law's understanding of the broad rights and remedies available to the client to enforce a judgment that the client worked so hard to obtain. The firm understands that making a creditor whole requires a focused, cost-effective approach that will lead to a tangible benefit for the client. Andre Law is also highly experienced in matters concerning commercial foreclosure of real and personal property interests. Using the right firm with the right experience is crucial in protecting valuable collateral. Using the latest technology and methods, Andre Law provides its clients efficient, responsive, and cost-effective representation. 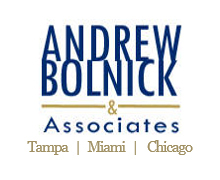 Andrew Bolnick & Associates is one of the most experienced and respected receiver companies in the country with over 37 years of experience working across the commercial real estate spectrum including office buildings, retail centers, hotels, marinas, golf courses and multi-family residential properties. 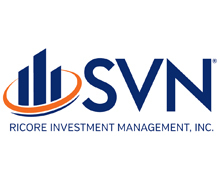 Our clients include financial institutions, insurance companies, real estate investment trusts, investment funds and others. Andrew has served on numerous foreclosures involving bank groups or syndication loans. Since 1981 Andrew has been at the forefront of the development of receivership law, offering the experience and ability to resolve the most complex and troubled real estate problems. We have served as Receiver in 11 different States and have been a Receiver, Monitor or Examiner on over 500 foreclosure matters. In this capacity Andrew Bolnick is often asked to speak at CLE conferences and legal forums. 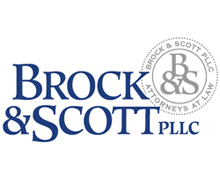 Andrew Bolnick & Associates also serves as a Trustee and Examiner in Chapter 11 Bankruptcy cases. Bentham is a litigation finance company providing funding to plaintiffs and law firms for large legal disputes in the United States and for international arbitration. 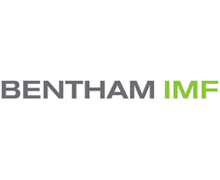 Bentham is the U.S. arm of IMF Bentham Limited, one of the oldest and most experienced commercial litigation funders in the world. 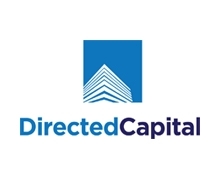 Directed Capital is an opportunistic real estate finance firm that strategically acquires, originates, manages and repositions commercial loans. The firm develops practical, effective loan workout solutions to help borrowers re-access traditional financing channels and provide investors with superior returns uncorrelated with the market. Directed Capital Advisors, LLC is a SEC Registered Investment Advisor (RIA). Established in 1999, F.H. 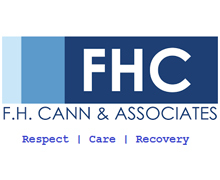 Cann & Associates, Inc. has been a national leader in providing our clients with compliant, best-in-class recovery rates. 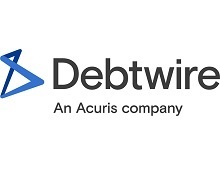 We are dedicated to providing solutions to your most difficult account receivables. As an industry leader, we work with start-ups, publicly traded companies, municipalities, government agencies and educational institutions to achieve quantifiable results. Our success surpasses the competition because of our highly trained and motivated employees. Every employee from the customer service representative to the CEO understands and respects the fact that we work for you. We take this very serious and it is reflected in the fact that our compensation structure is contingency based. FHC utilizes the latest technology the collection industry has to offer in order to maintain both a competitive advantage and a high level of compliance and recoveries in this ever-evolving profession. In addition, FHC can customize a call center that provides for efficient and effective first party collections. “Over 40 years experience in the hospitality industry, providing our clients with the highest net operating incomes. 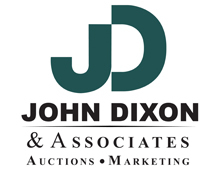 John Dixon & Associates (JDA) features a team of professionals with more than 375 years of cumulative real estate and auction experience. John Dixon himself has been exclusively in the auction business for more than 30 years, selling real estate properties that have included working farms, ranches, buildings, residences, condominium developments and commercial and industrial tracts. 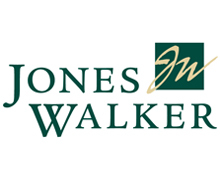 JDA's seasoned professionals successfully manage all aspects of the marketing process, from attracting interest to the sale to the closing of your property. This includes advertising, management, finance and information systems. 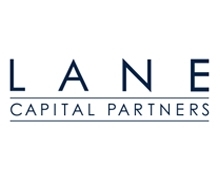 Lane Capital Partners, LLC actively invests in commercial real estate debt and equity with a strong preference for major and high-growth markets. We operate with a 30-year track record of dependability, discretion, and speed. Our reputation is built on our ability to recognize value, perform thorough due diligence, and close quickly. Lane Capital follows through on non-contingent, all-cash offers and serves as a preferred buyer to banks, institutional lenders, and other holders of debt. Founder Alan Leavitt has 30 years of experience purchasing distressed real estate debt. Machinery Max; an industrial equipment auction company, that specializes in helping industrial equipment “Lenders/Investors” and/or “Owners”, manage, appraise, recover, acquisitions, and maximize their return on no longer required assets. Owners; Machinery Max is committed to the owners who want to sell their used Industrial equipment. We partner with you to: Value your used industrial equipment based on current market values and/or provide a “Cash” value if you just want the equipment gone now. No upfront cost or fees. All cost and fees will be spelled out and agreed to by all parties prior to posting the equipment for auction. We know you do not like surprises and neither do we. Prepare the equipment to be auctioned. 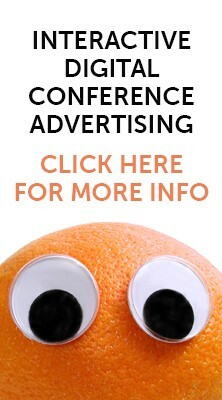 Promote and market your equipment, using current marketing techniques, industrial databases, multiple social networking sites, and trade magazines. We provide you with the best exposure to ensure that your equipment sells for top market prices. No hassles or worries out of collecting the sale proceeds, and make sure your equipment is paid for before shipping it to its new home. Lenders/Investors; Machinery Max is committed to our lenders/investors who are trying to manage, appraise, recover, and sell the security assets of their Delinquent Notes. We provide all the same services that we provide the equipment owners (see above details) and partner with you on the below services pursuant to your needs: Appraisal of borrower’s equipment (not just the equipment they are purchasing). Our appraisals contain a photo of each piece of equipment along with the equipment tag that shows the equipment model and serial number. UCC searches, filings, continuations, monitoring, and terminations, this provides you the security that your collateral position will be maintained for the life of the loan. Recovery service of your collateral, we negotiate the return of the collateral without any legal fee and cost accruing. If legal is necessary, we can take the stress out of monitoring the legal procedures and insure the cost are kept to a minimal. If the equipment is missing, we can skip trace the location were its being stored and take legal possession on your behalf. Auctioning off equipment satisfies all states repossession requirements of selling the collateral by means of a “Commercially Reasonable Sale”. Full facility shut downs, auctioning of equipment, foreclosure of real property, and/or sale of real property. 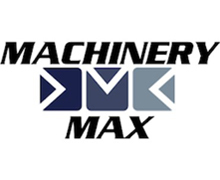 www.machinerymax.com is the premier auction site for sellers to sell their Industrial Equipment and buyers to purchase quality used equipment. We are committed to maintaining a secure and safe environment for buyers and sellers alike. All members are securely identified to ensure that the network is filled with individuals who are serious about buying and selling. Upon posting your equipment on www.machinerymax.com your equipment is sent to thousands of potential buyers globally and instantly. We guarantee you will love our auction site, staff, and the value of all our services. Please call for free quote, and answer to any of your questions. Michael Moecker & Associates, Inc. was founded in 1992 by Michael Moecker and Donald Kaplan after they realized that they could apply their extensive knowledge of credit management and bankruptcy practices to help companies navigate through complex financial difficulties. The team has since grown and now the company is proudly represented by a dedicated staff of professionals that apply their knowledge and experience to each and every case handled. Our experience with liquidation and insolvency matters dates back to before the Florida statutes were amended. Throughout the years we have established an impressive track record of thousands of successfully executed cases, ensuring the maximum return for creditors. As Assignees, Receivers and Liquidating Trustees, we have liquidated everything from herds of horses to extensive wine collections to cell phone towers for companies of all sizes in locations throughout the US. It is as a result of over 20 years of diverse case experience that we can effectively navigate the management of assets for a wide range of industries. Our company’s growth and success is a direct result of our commitment, dedication and passion for helping clients resolve their insolvency issues and in some cases avoiding bankruptcy all together. 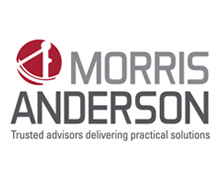 MorrisAnderson is a market leader in financial and operational consulting. Drawing on 30 years of deep expertise across a number of industry sectors, we help businesses find the best possible solution for difficult situations—quickly and honestly. Unlike consultants who simply give financial advice, we collaborate with management and other stakeholders to create a comprehensive action plan that addresses immediate challenges and moves your business forward. 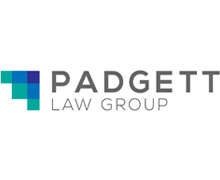 ​Padgett Law Group (PLG) is an elite, full service creditors' rights law firm with GSE compliant practices in Arkansas, Florida, Georgia and Tennessee. The firm is also licensed and practicing in Kentucky, North Carolina, Massachusetts, and Washington, D.C. The firm's practice offers exclusive representation to institutional clients such as lenders, mortgage servicers, credit unions, banks, hedge funds, investors and other financial services industry stakeholders. Leveraging technology in our partnerships with forward-thinking clients gives Padgett Law Group the ability to focus on the aggressive management and processing of delinquent or under performing loans, providing our clients with an edge when curing or resolving these complex legal matters. 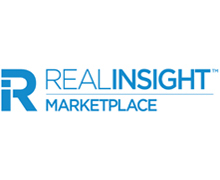 RealINSIGHT Marketplace is the preeminent platform for CRE transactions, bringing Buyers, Sellers, and Brokers together to efficiently market, underwrite, and close deals. Marketplace offers a classic auction process and a custom auction process for trophy assets or transactions requiring nuanced deal terms. 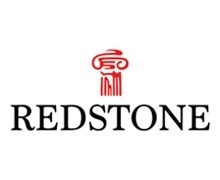 Redstone Funding has been created to acquire and finance performing and non-performing real estate debt. Our investment philosophy is to maximize returns and manage risk by targeting opportunities in real estate debt where our expertise provides a competitive advantage. 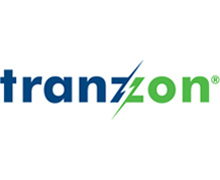 We seek investment opportunities that allow our strengths in operational oversight and asset management to add value. With our background in real estate and banking, Redstone Funding can bring into play the experience needed to deliver on complex transactions. With our focus constantly on regional market fundamentals, from time to time we will team up with operating partners, which will allow for access to opportunities we typically may not see. There’s a huge difference between managing transactions for your clients and treating your clients like transactions. 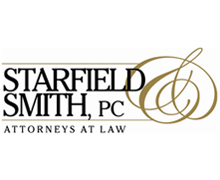 At Starfield & Smith, P.C., we never make you feel like just another customer. Instead, we act as an extension of your business. Our philosophy is: your success is our success. Our experienced lawyers and paralegals have been adhering to this philosophy and providing an unmatched level of service for more than 20 years. We exceed the expectations of our lending and business clients across the country, and, by doing so, have become thought-leaders in our industry. We are proud to be considered a progressive law firm that is focused on the development and implementation of best practices, both for our clients and for our team. Give us a call to see how we can provide you with creative solutions for the complexities of your commercial legal needs. Scotsman Guide is the leading media provider for the residential and commercial mortgage-origination industry. Our award-winning monthly magazines, lender search, online news and Scotsman Guide Community are free for qualified mortgage professionals.